Premium grade 18 gauge stainless steel single bowl sink, featuring D shape, rear drain position for more storage below the sink, and silk finish on rim and bowl for bright and shiny good looks, without sacrificing on ease of cleaning. Bowl is sloped to center of wastehole and has crease lines for efficient draining. This specialty sink features premium quality 18 gauge stainless steel and 18/10 chrome-nickel content. Ideal as a bar or prep sink, it can be used in drop-in or undermount installations. Designed and engineered in Germany, the Stellar series from BLANCO comprises 18 gauge stainless steel with a refined brushed finish. 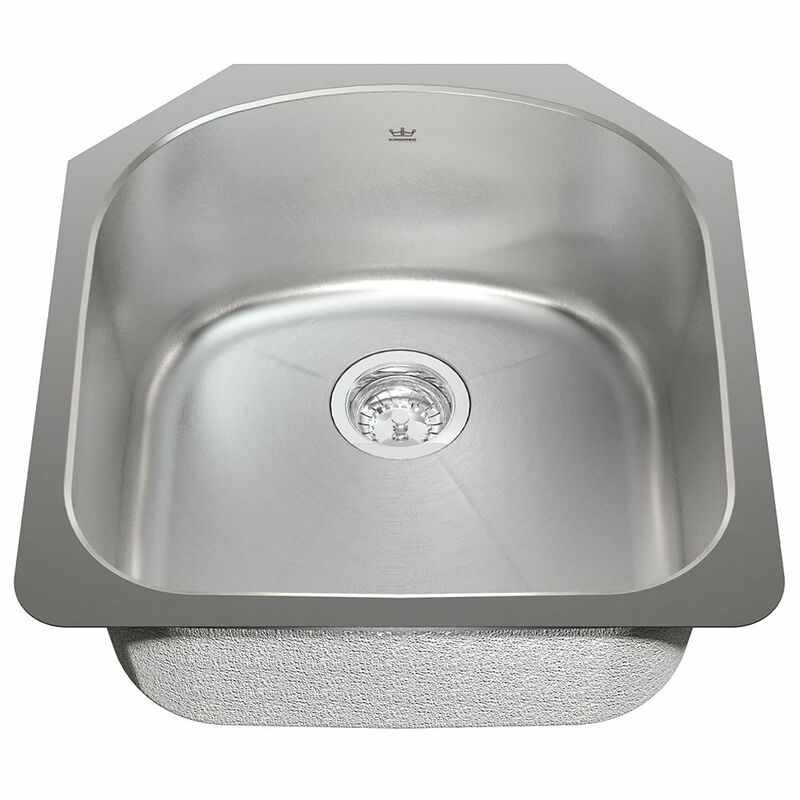 Single UM sink 18 gauge sink Premium grade 18 gauge stainless steel single bowl sink, featuring D shape, rear drain position for more storage below the sink, and silk finish on rim and bowl for bright and shiny good looks, without sacrificing on ease of cleaning. Bowl is sloped to center of wastehole and has crease lines for efficient draining.